東京金週足。上昇相場104-109サイクル/Tokyo Gold Market weekly data. 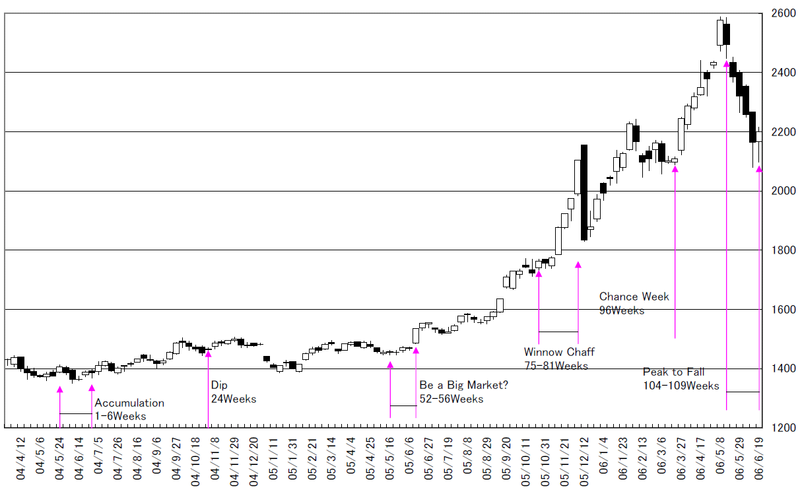 Bull market 104 – 109 now may be ended? 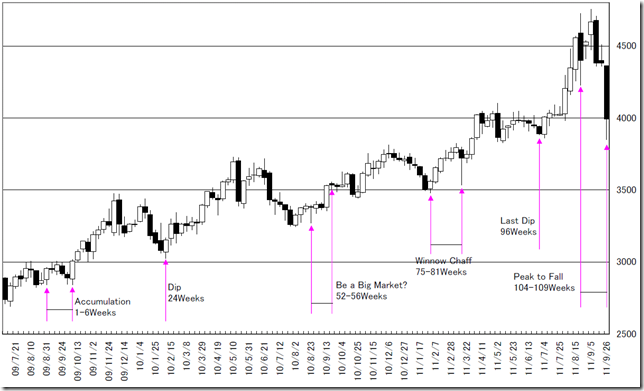 Today we analyze Tokyo Gold Market weekly data. We feel a market is difficult. 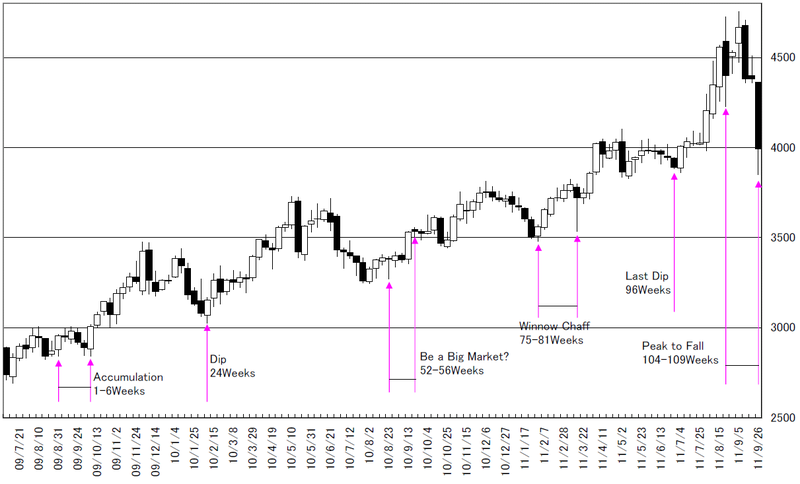 We analyze the recent year’s bull market. 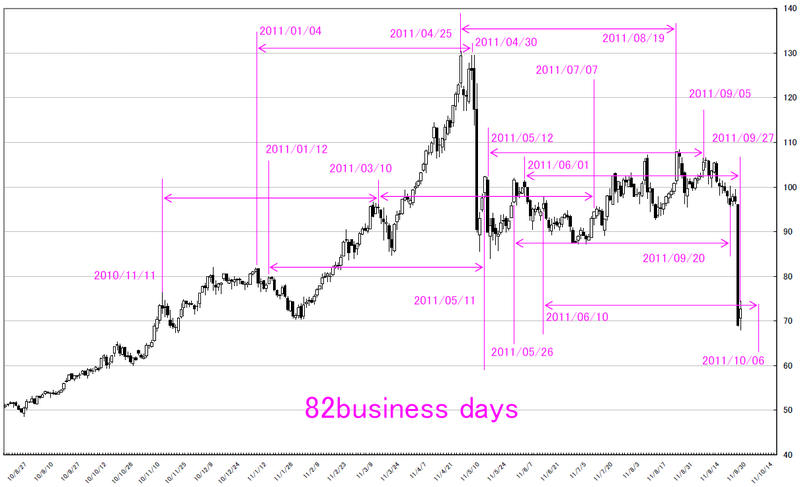 In 2001 – 2003 rallies, the market price can not take new high after 87 weeks. 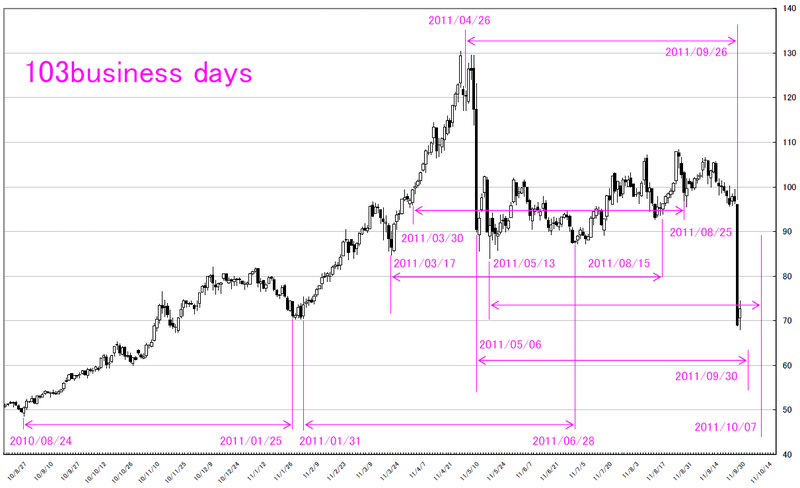 In 2004 – 2006 rallies, the market price can not take new high after 40 weeks. We would like to consider future in next report. 東京マーケット円建て銀日足・もう少し下げると思います。/Tokyo market silver calculated in yen (Daily Data). The market price did not reach the target price. 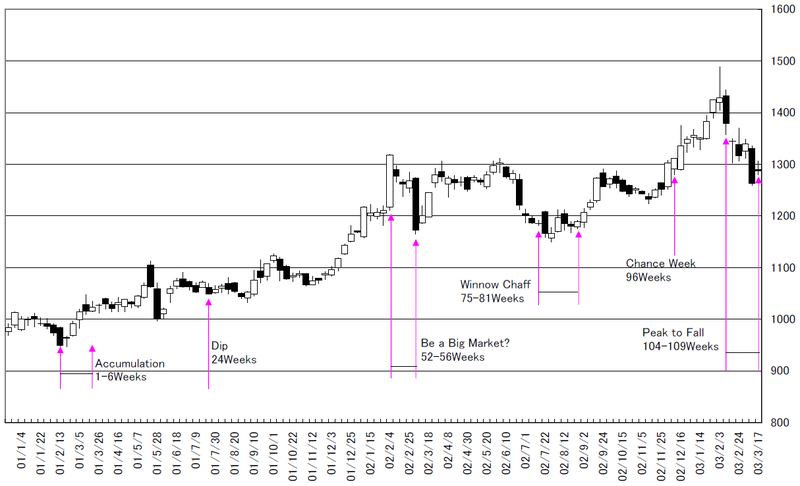 Today’s analyze is about Tokyo market silver calculated in yen (Daily Data). We find out “TAITOU” number. We can find “cause and effect” in “Combination of High and High price” and “Combination of Low and Low price”. 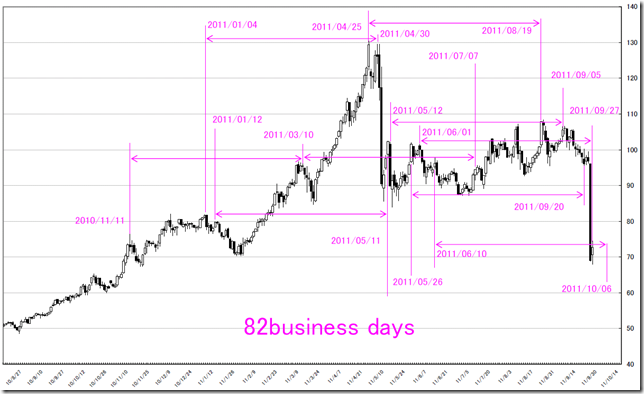 The “Combination of High and High price” is 82 business days. The “Combination of Low and Low price” is 103 business days. So we can calculate the future “HIGARA”; 1. 2011/09/30 may take low price. 2. 2011/10/07 may take low price. 3. 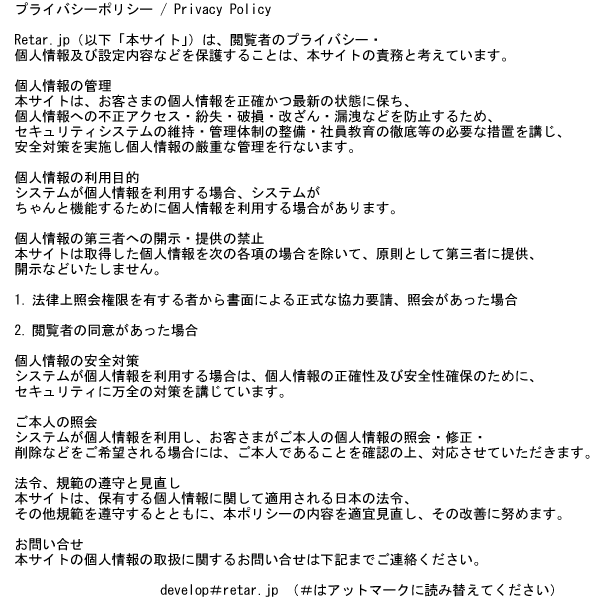 2011/10/06 may take high price. 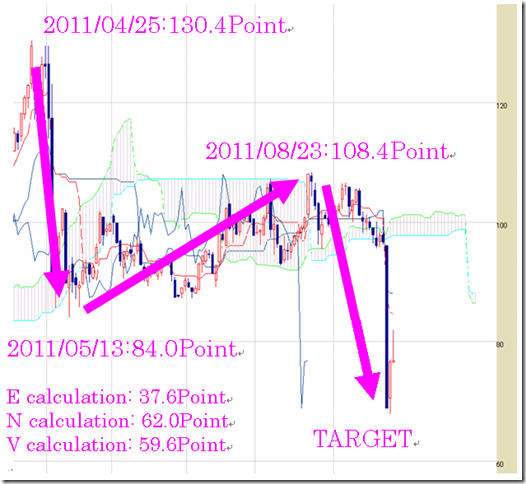 We think the market price do not reach the target price calculated by “ICHIMOKU” way. 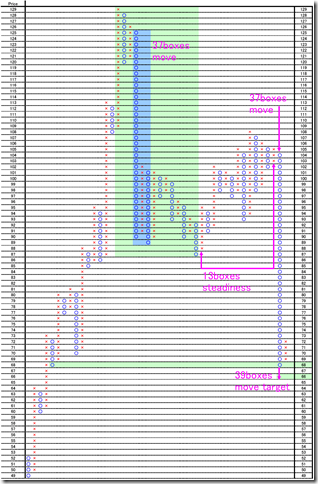 This is 1 point change and 3 box reversal close price’s Point and Figure chart. The recent fall is breaking from 13 boxes steadiness. 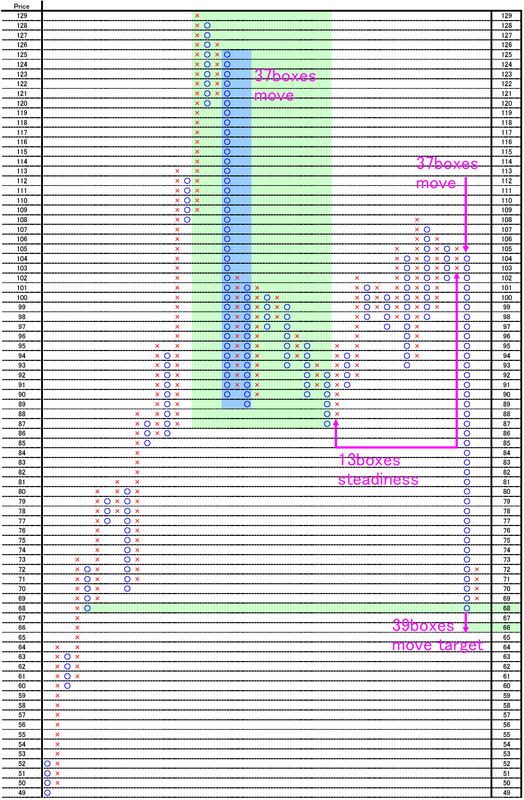 So, the target price is 39 boxes move, but now the price move 37boxes. 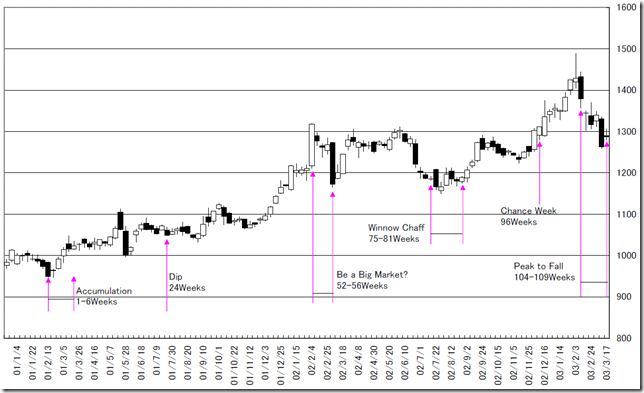 The recent big fall was 37 moves (sky blue), so the market price reaches the target price calculated by vertical method. 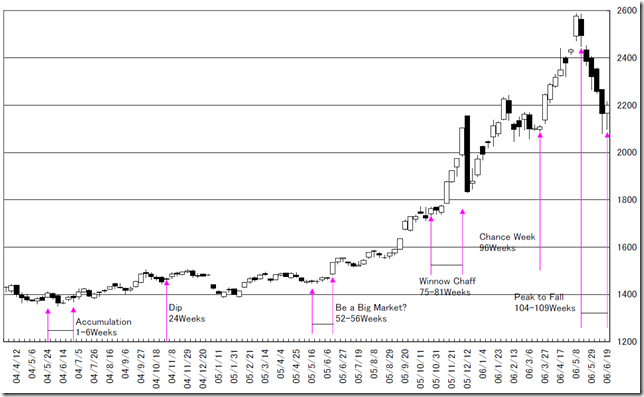 But after that, the market price fall 2 boxes; I think the market price may fall more.